Engineers and end-users are replacing traditional materials with fiber reinforced polymers (FRP) in corrosive mining environments. 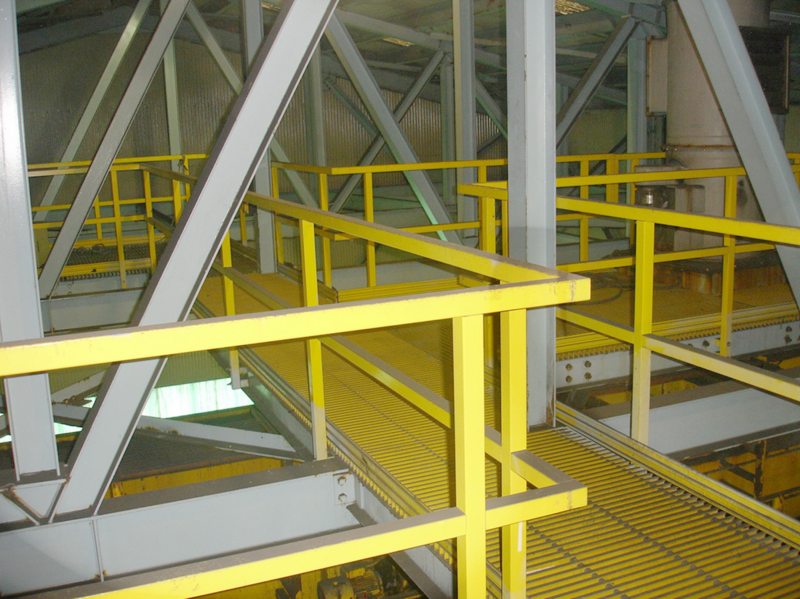 FRP provides lower life-cycle costs, offers outstanding performance and provides superior quality over traditional materials such as stainless or coated steel, wood and alloys. Most of the corrosion in the mining industry is enhanced by abrasion, another challenge FRP overcomes. 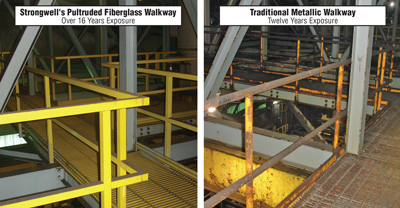 Traditional metal piping and pumping systems contain particulates which can easily erode when their protective coating is worn off, leading to a shortened lifespan of the processing equipment, facilities, and structures. FRP's combination abrasion and corrosion resistance offers an ideal material for the mines. The lightweight nature of FRP also leads to ease of handling on job sites restricted by space and heavy equipment, both of which are required by comparable materials such as stainless steel or carbon coated steel, which in turn leads to lower installation costs.